Create long-lasting sweet memories to impress your beloved one. Guests can experience an exquisite sense of space and bespoke service and receive a complimentary bottle of rosé sparkling wine. Stay between Friday and Sunday and enjoy the below privileges. The above offer is valid for stays between Friday to Sunday from 1 March to 31 December 2019 (both dates inclusive). Room rate is based on per room per night and subject to availability upon reservation. Room rate is subject to 10% service charge. Booking is required to be secured by a valid credit card at the time of reservation. 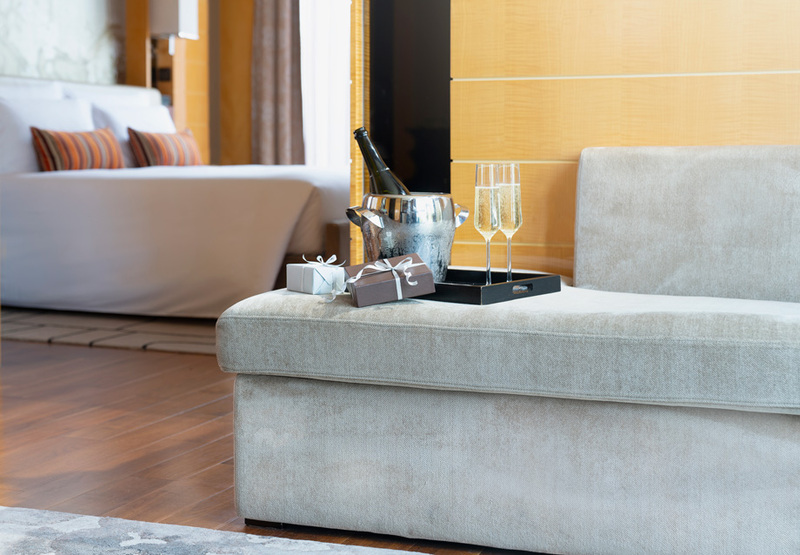 Amendments or cancellation made less than 48 hours prior to arrival or in case of no show will incur a charge equivalent to the first night room rate with service charge. Any extension or amendment after a reservation is confirmed or during the stay, is subject to availability and room rate will be at the Best Available Rate of the day. This offer cannot be used in conjunction with any other discounts or promotional offers. All room rates and privileges are subject to change without prior notice. Booking must be made directly via hotel website to earn Asia Miles or KrisFlyer miles. Miles can only be earned by one member per room per stay. A back-to-back booking is counted as one stay only. Guest must quote their frequent flyer programme membership number when making a reservation and present a valid membership card upon check-in. Respective frequent flyer programme terms and conditions apply. In case of any dispute, The Olympian Hong Kong reserves the right to make a final decision. In the event of discrepancy or inconsistency between English and Chinese version of these terms and conditions, the English version shall prevail.